A friend was coming over and I wanted to make a little afternoon snack. It wasn’t too hot out so I didn’t mind baking something. 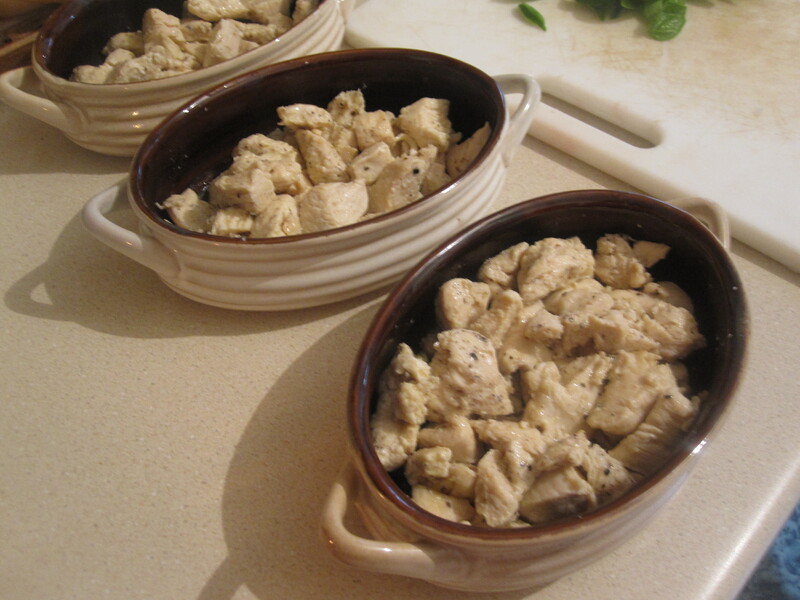 I started by pan sauteing some cubed chicken breast with some salt and pepper and putting it in the crocks. 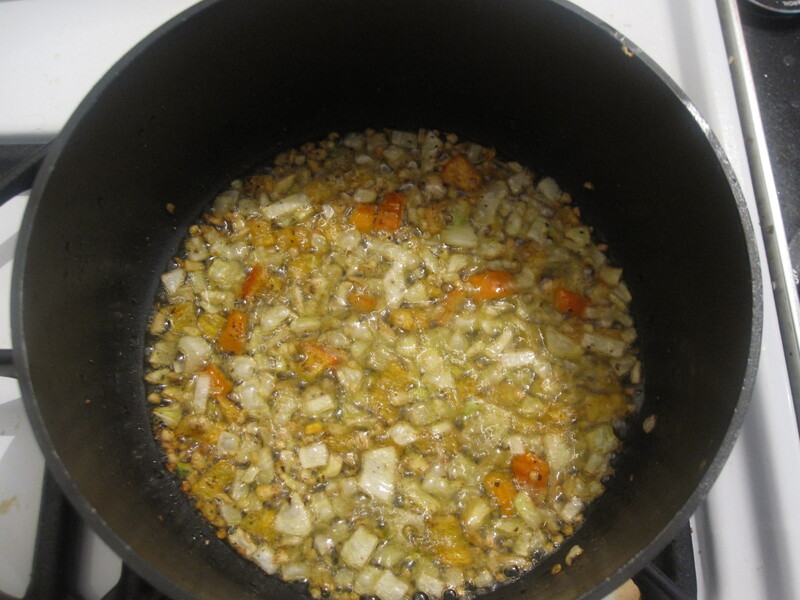 I started on the sauce by sauteing the aromatics in oil. I sauteed the aromatics a little longer than usual to really brown the garlic and get a deep almost smoky garlic taste. 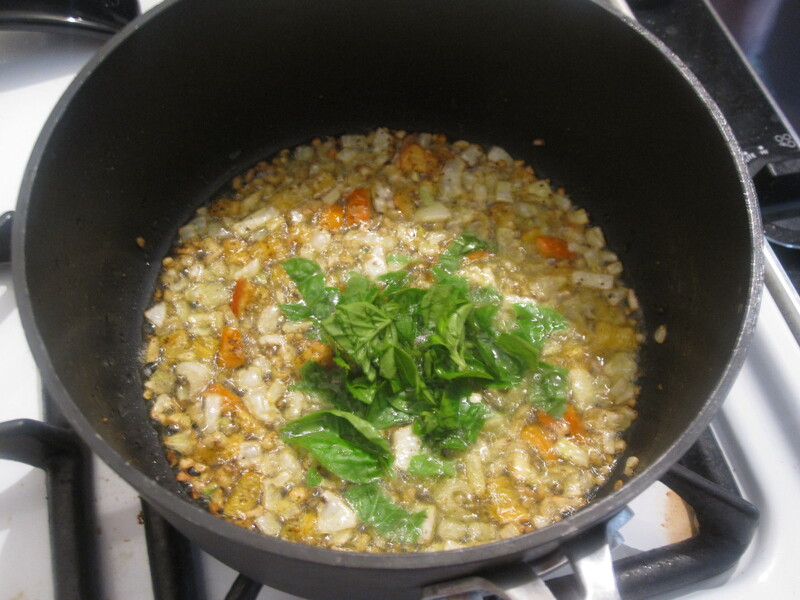 Once the garlic was browned enough, I added some fresh basil for the last few minutes of sauteeing. 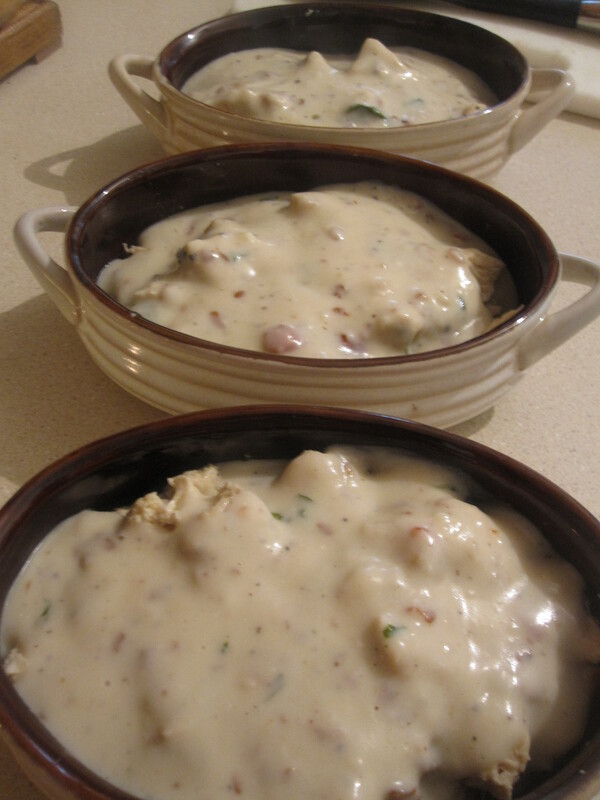 Then add the rest of the sauce ingredients which is basically an alfredo. The cheese was grated imported Romano which we got in the Strip District for $6.99 a pound. What the Strip provides is amazing and limitless! Then pour the sauce over the chicken until covered. 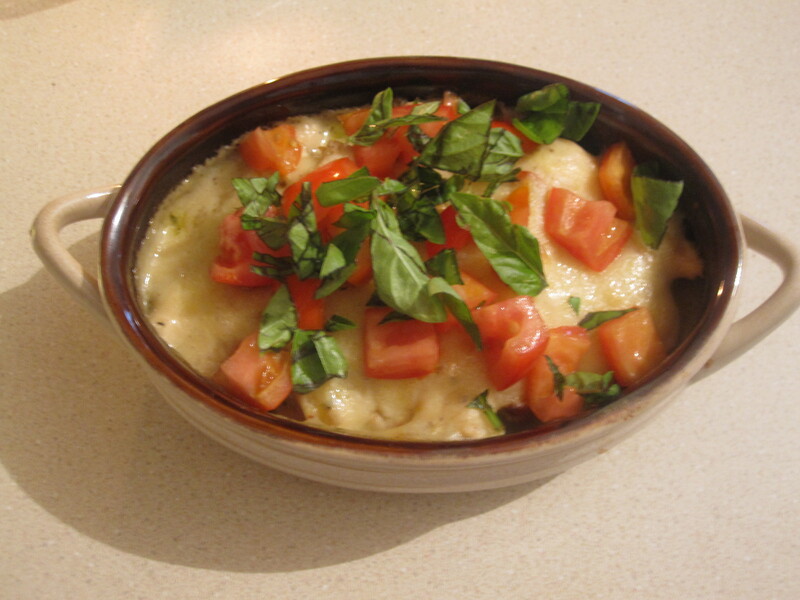 Add a bit of mozzarella and throw into the oven at 350 for about 15-20 minutes or until browned. Top with some fresh basil and chopped tomatoes. This entry was posted in Chicken, Uncategorized and tagged alfredo sauce, basil, chicken, garlic, homemade, Italian, low carb, romano, tomato, white sauce. Bookmark the permalink. Wow that looks so tasty.